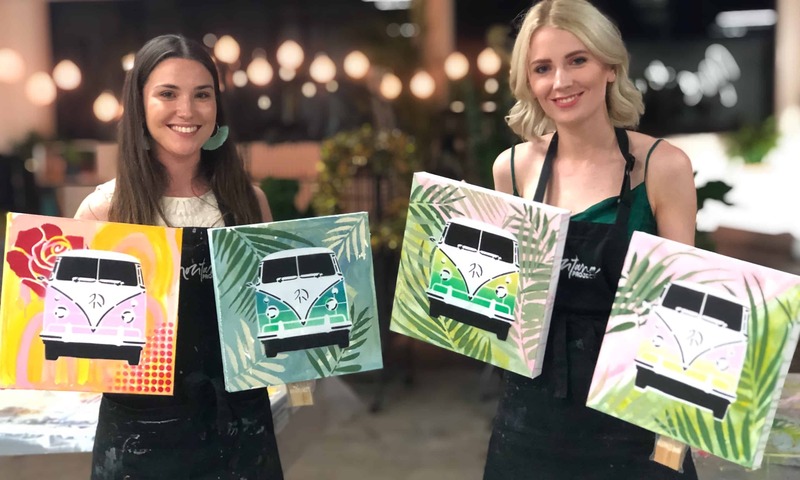 Join us to PAINT two VW Kombi canvases whilst you SIP through an enjoyable evening! Bring your partner, as 4 canvases look awesome together. It is hard not to love the split windscreen Kombi, just as it is hard not to think about the beach. You’ll be bringing home two original stencil images, painted by you on quality double thick canvases in colours of your choosing. Please arrive by 6.30pm, handover your BYO downstairs at the bar of the Montague Hotel then enjoy your complimentary glass of sparkling at the bar. Your lesson will start at 7.00pm.